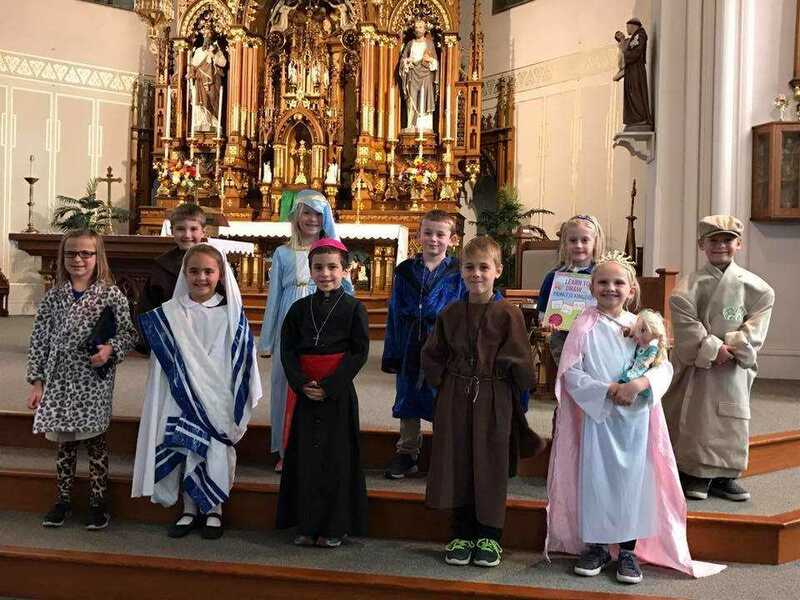 This year the RSM TK, Kindergarten, and First grade students put on the 21st annual All Saints Prayer Service in a new location, St. Mary’s Church in Remsen. The bigger church was a little intimidating for the students and practice time was very limited, (luckily Miss Bohnenkamp stepped in and helped out with the songs) but despite these obstacles the students did a great job and more than 100 guests enjoyed the afternoon. November is traditionally a month that we remember those who have died. The All Saints celebration is a good way to start off the month of remembering since they show us by their example how we can serve God and others. 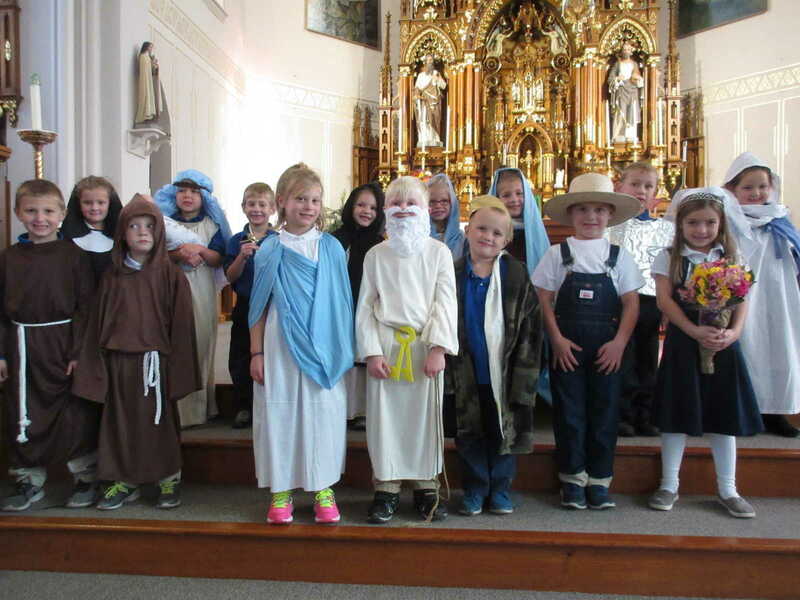 The Kindergarten and First grade students processed in dressed as their saints as the TK lead the song “Blessed Saints Please Pray for Me”. The saints did a great job teaching their guests about their individual saints. The group then acted out the story of Our Lady of Fatima celebrating the 100th anniversary of the Marion apparitions. After the service the students treated their guests to a variety of refreshments. First grade Saints. Back row, from left: Ethan Klein, Chloe Homan, Lance Glassmaker, Katherine Doidge, and Jayze Bunkers. Front row, from left: Kinley Tentinger, Dylan Schroeder, Benedict Roder, Brodey Penning, and Juliann Mohning. Kindergarten saints. 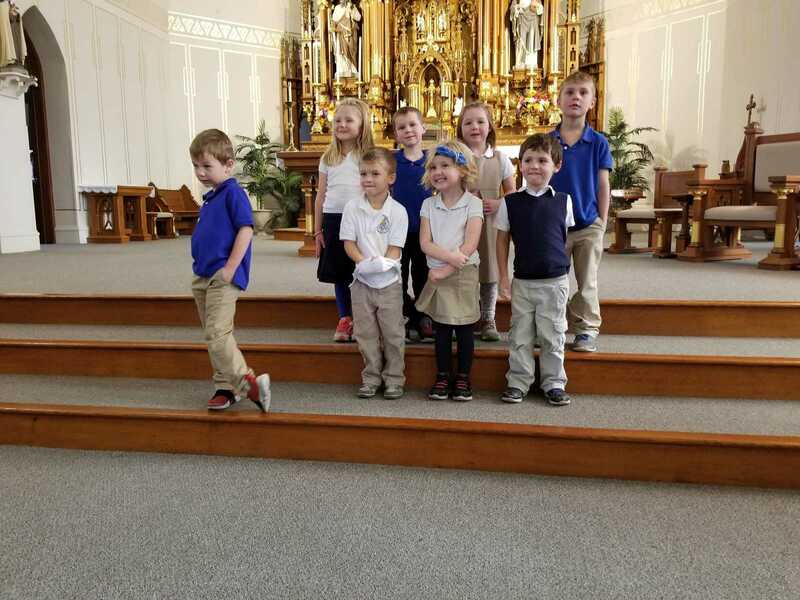 Back row, from left: Ruthie Arens, Jerzie Galles, Abraham Gerrietts, Isabelle Glassmaker, Jenna Homan, Brynlee Keffeler, Liam Kelley, and Hadley Klein. Front row, from left: Hunter Klein, Gavin Krienert, Lily Matgen, Mason Matgen, Quinnten Mohning, Jackson Schroeder, and Madisyn Utesch. The TK class. Back row, from left: Braya Homan, Keaton Sheehan, Savannah Sheehan, and Blain Ortmann. Front row, from left: Mason Klein, Carter Money, Lillian Klein, and Jaxon Schuttpelz. 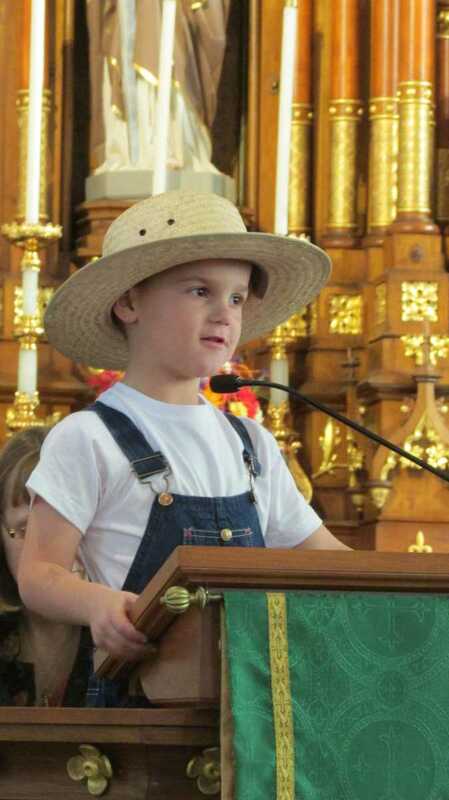 Jackson Schroeder talked about St. Isadore the Farmer. 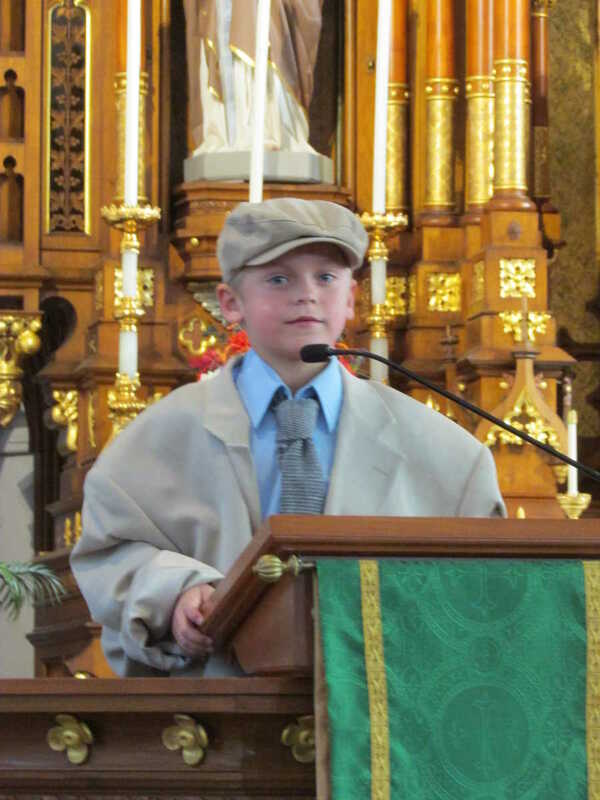 First grader Jayze Bunkers talked about St. Matthew - Patron Saint of Bankers.